We arrived in Christchurch and within 20 minutes of our arrival, I felt the earth move. Sitting in a desk chair, the ground moved me up and down, back and forth and up and down. Then it stopped. We haven’t felt anything since. 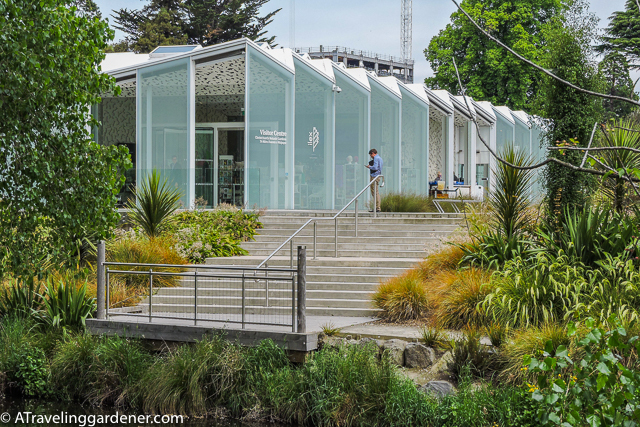 So, with a heightened sense of awareness, we arrived at the Botanic Gardens near the CBD (central business district) of Christchurch. This awareness increased as we noted the extensive construction scaffolding around the building’s of Christ College that joins the garden. This is a city still rebuilding and repairing. 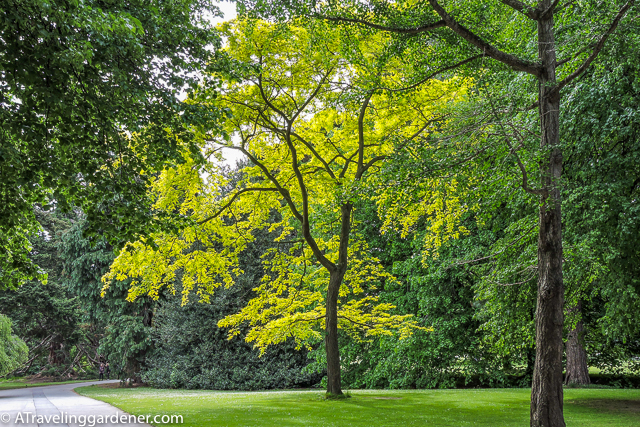 We began exploring the 51-acre garden finding grand trees, perennial borders, and lush lawns. Though this is a tourist destination it was obvious that locals and especially students were in the garden on this warm spring day. Trees have a way of putting life in perspective and arriving at the base of this Alpine Ash, (Eucalyptus delegatensis) simply stops you mid-stroll. 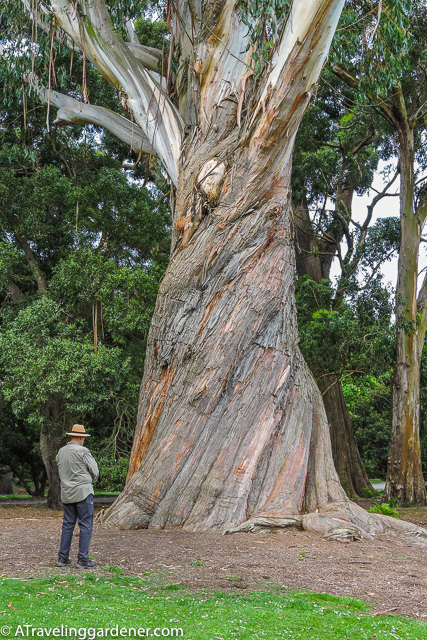 The texture of the trunk, the size of its girth and the height of its branches all demand attention. There are many grand trees throughout the grounds. Two young women had climbed up into the arms of one where they evidently had good phone service. The new visitors center of white steel and glass opened in 2014 marks a grand center point in the garden. A display of garden hand tools used through the years caught my attention. 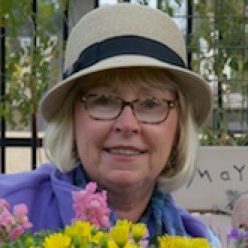 Stories of local residents value of the garden after the earthquake tugged at my heart. Near the rose garden is the C.A.C. Cuningham Conservatory, whose 1915 bequeath allowed for this grand old building. 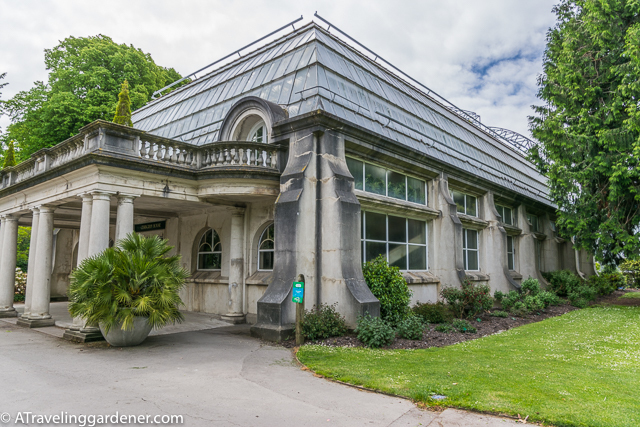 I spoke with one of the gardeners about the conservatory and she said amazingly not a stone moved or a pane of glass broke during the big quakes of 2010. 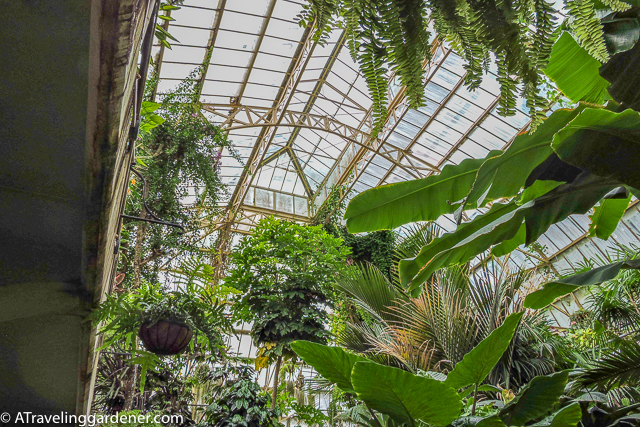 Inside is a collection of tropical plants, ferns and banana trees all thriving under the high arched glass roof. 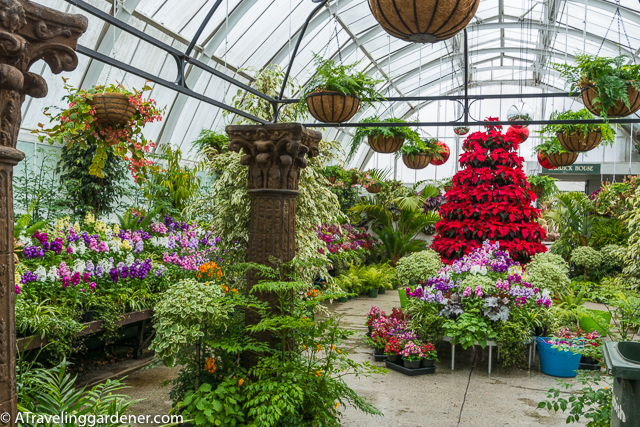 Around the back in a smaller conservatory, the seasonal floral display for Christmas was nearly arranged. A Poinsettia Christmas tree stood tall surrounded by the seasonal spring flowers for the area. The masses of stock filled the air with their fragrance. 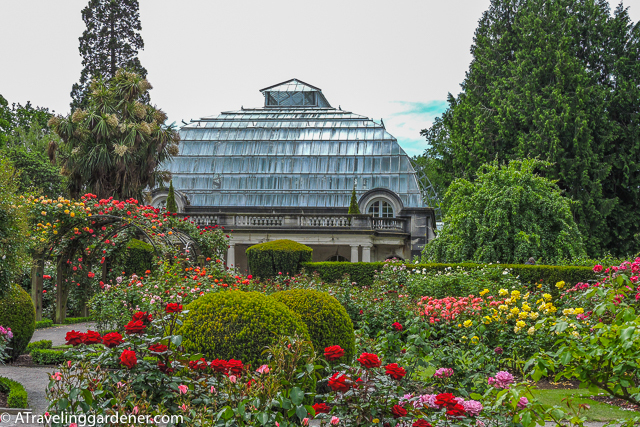 This grand garden is free admission and run by the Council of Christchurch. During the earthquake, the CBD workers escaped to the garden to avoid the danger of the falling buildings. 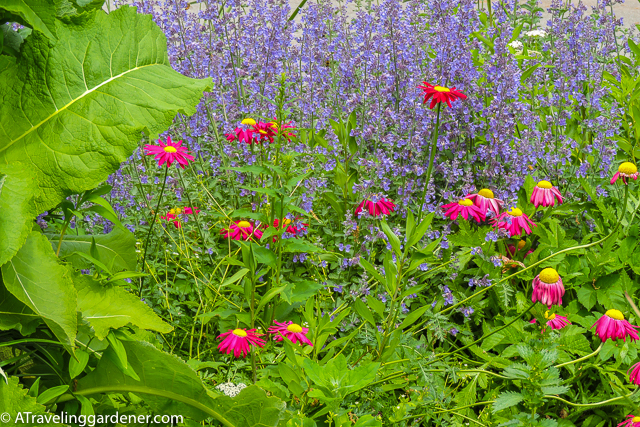 The Avon river meanders around and through the garden adding a cushion of quiet and beauty. 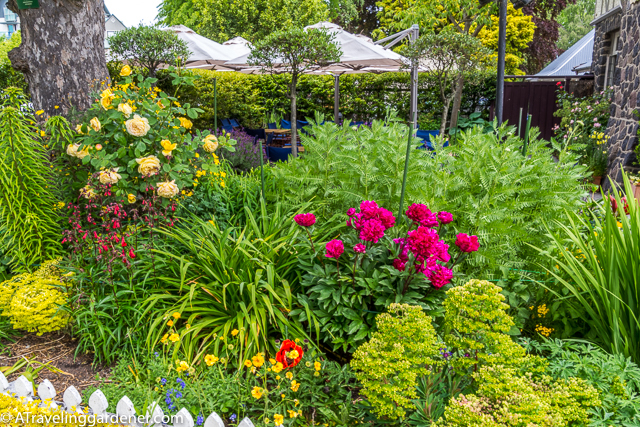 I’ve been told by locals that Christchurch was the garden capital of New Zealand but the quake has deeply impacted the energy of its gardeners. People’s homes, gardens, and spirits are still recovering. 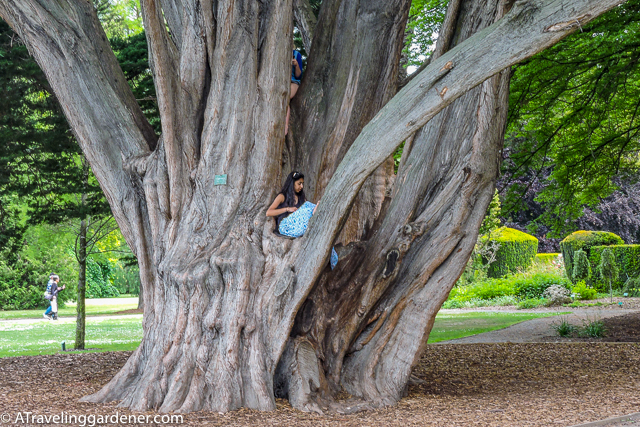 This great public garden of Christchurch is a treasured space and great cities, even cities recovering from hardship treasure their parks and gardens.